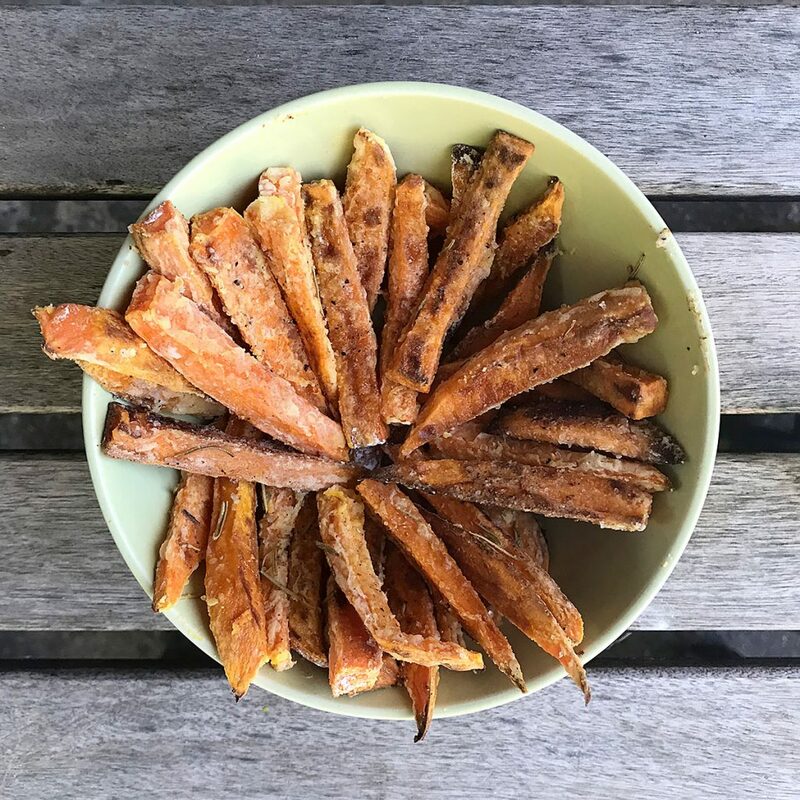 Sweet potatoes are easy to find package-free, and I buy the cornstarch, olive oil, rosemary and salt in bulk. If you can’t find ingredients in bulk, opt for glass and cardboard packaging over plastic whenever possible. Bon appétit! Wash and peel the sweet potatoes, then slice into medium thick slices. Put sweet potato slices and cornstarch in a large glass container that has a tightly closing lid (I use a Pyrex bowl). Close lid and shake until fries are evenly coated with cornstarch. Add more cornstarch if needed. Pour fries onto a cookie sheet and drizzle with olive oil. Toss fries until evenly coated. 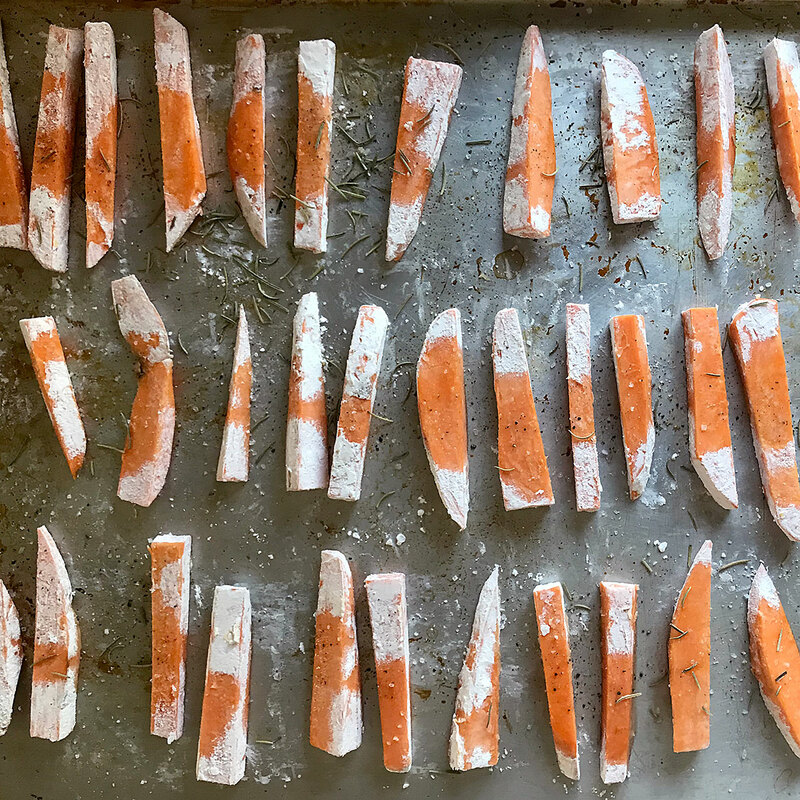 Evenly space the fries on the cookie sheet and sprinkle with rosemary and sea salt. Bake for 15 minutes then flip fries and continue baking for another 5 to 10 minutes.